Shepard is hiring Swim Instructors and Customer Service Positions. Click on About Us then Our Team for an application. Toddler Splash Time for ages 5 and under. Every Thursday 10:00-11:30 am. Read all details before coming. 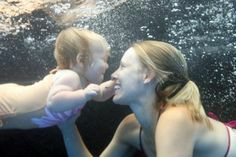 Mermaid and Shark Classes: May 8th is the next class 5:30-6:15! Buccaneer Bash for mother and sons! May 10th 6:00-7:30 pm. Cost is $30.00 per couple and additional sons are $10.00. Pre-Registration required. Shepard Swim School is hosting our 1st Annual Swim-A-Thon, one of 2 MAJOR FUNDRAISERS we host in our facility for our Scholarship Fund. The purpose of this event is to raise funds for the Shepard Swim School Scholarship Fund, as well as bring awareness to water safety during the month of May, which is National Water Safety Awareness Month! We are asking for 100% Participation in this event! If by chance you can not make it, please consider making a donation instead! All funds raised from the Swim-A-Thon will be split 50/50. Fifty percent of each individual's donations will go to the Shepard Swim School Scholarship Fund and the other fifty percent will be applied to the swimmers Swim School account in the form of credit that can be used for classes, camps, clinics and merchandise! For example, if a child collects $100 in total pledges, $50 goes into the Scholarship Fund to help keep our community safer, and $50 is added directly to the student’s account; it’s a WIN/WIN! 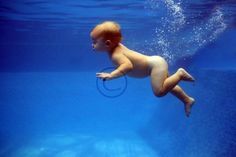 All ages, including Waterbabies are welcome to participate. (A parent must be in the water with children under 3.) Our swim belts can used for students still learning to swim independently. Also, during this event we will be hosting a Swim Themed Photo Contest. Photos must be submitted as a 4x6 print no later than May 24th. 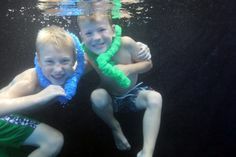 Photos will be displayed during the Swim-A-Thon on a donation bucket. 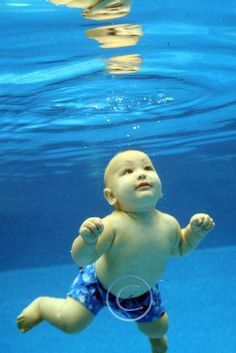 The photo with the most donations in their bucket will win 1 free month of swim lessons! To complete our event, we will have Monterrey Mexican Grill selling dinners and welcome all families to purchase dinner while they are here. Pre-Sale tickets will be available in our office prior to the event. A portion of proceeds from food sales will also benefit the Shepard Swim School Scholarship Fund! 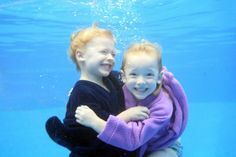 Shepard Swim School offers a Scholarship Program for families in our community who meet the criteria in order to provide swim lessons for children who might not otherwise have the opportunity. Surveys have shown that 79 percent of children from families earning less than $50,000 per year tend to have low to no swimming ability and are therefore at a higher risk for drowning. With our Scholarship Fund, we hope to help significantly lower that number in our community! Who can you ask for pledges? EVERYONE! Friends, grandparents, aunts, uncles, neighbors, parent’s co-workers, and of course MOM & DAD! Some folks may like to donate cents or dollar amounts per lap or they might offer a flat rate amount. You may also want to reach out to local businesses to ask for sponsorship. Remember, 50% earned directly benefits your account! Make sure you let them know you appreciate their participation! When you approach, you could say, “Hi, I am (you name) and I and participating in a Swim-A-Thon at Shepard Swim School on May 31st to raise money for the Shepard Swim School Scholarship Fund. Would you be willing to sponsor me? My goal is to swim (# of 30 foot laps in 15 minutes). You can pledge per lap or a flat amount. I’d really appreciate your support!”. Cash is always accepted and preferred. Checks may be made out to Shepard Swim School. (Any returned checks will be charged in full to the participant’s parent or legal guardian.) If you have some sponsors that have not sent their pledge money to you by the deadline of JUNE 7, 2019, please write out 1 check and collect the money from them later. Making a copy of your pledge form to keep at home is a great suggestion if you are collecting money after the deadline. You can collect money at any time. All ‘per lap’ donations will be collected after the event. Laps swam will be recorded during the event so you can collect the correct amount owed afterwards. All money must be turned in on or before JUNE 7, 2019. Prizes will be awarded to the top 3 earners in addition to the 50% account credit. Prizes are TBD and will be announced before the date of the event. The winner of the photo contest will be announced no later than MONDAY JUNE 3, 2019. *Free month of lessons is $80 value. NOW- Pick up your pledge form and collection envelope in our office. You will be added to the list of swimmers and your swim time will be scheduled. JUNE 3, 2019- Photo contest winner announced. JUNE 7, 2019- ALL MONEY DUE! JUNE 10, 2019- ”Top 3” prize winners announced.